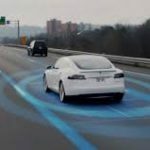 At TireBuyer, we know a few things about tires. And that includes where they should – and shouldn’t – be. 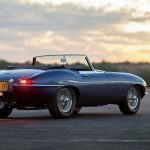 Tires belong on TireBuyer.com, they belong in our warehouses across the country, and of course, they belong on your car. But they definitely don’t belong on the beach. 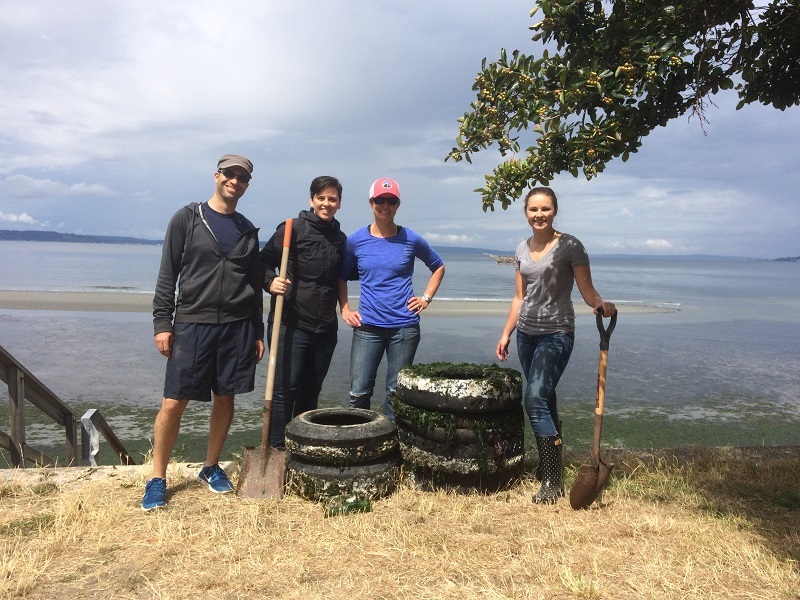 That’s why we recently made our third trip to the beautiful beaches of West Seattle, Washington, to dig up a bunch of ugly old tires that have wedged themselves into the sand there. Why are there tires on the beach? 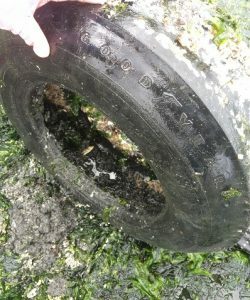 Unfortunately, it’s pretty common for tires to become embedded in the sand. Sometimes they’re tossed into the water by misguided former owners, or they may fall off docks, buoys, or boats where they’re being used as “bumpers.” Eventually they wash up on the beach and become stuck in the sand. 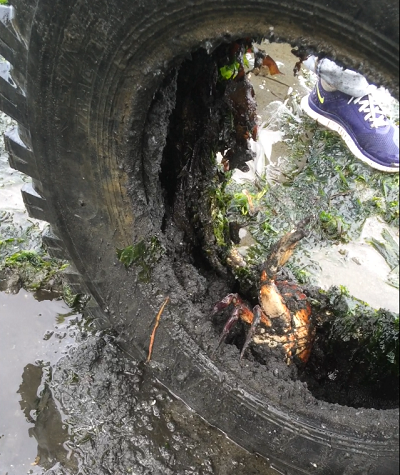 of many of the tires we removed. 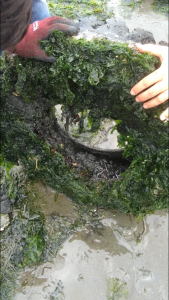 And inside the tires we found large Dungeness crabs, tiny hermit crabs, a sea star (starfish), a moon snail, large flatworms (or small eels? ), and a variety of sea worms and sea centipedes. 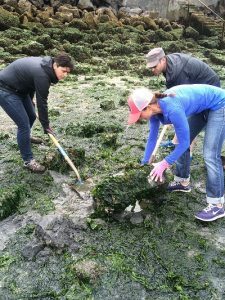 Trying to be mindful of the fact that we were evicting these guys from their long-term homes, we scooped them out and put them back into the water and sand (yes, even the Dungeness crabs, though it was tempting to take them home for dinner). 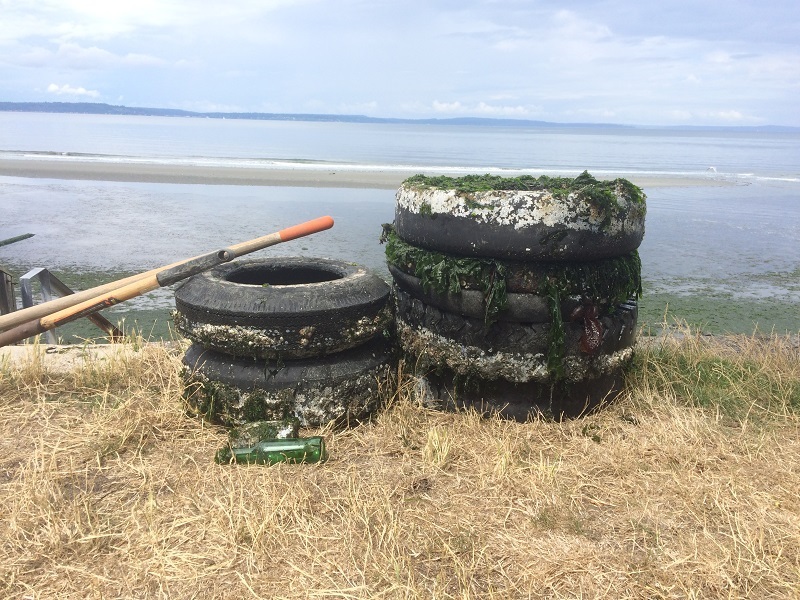 We managed to locate, remove, and dispose of six tires from the beach – three more than we had expected and our most successful tire removal haul ever! 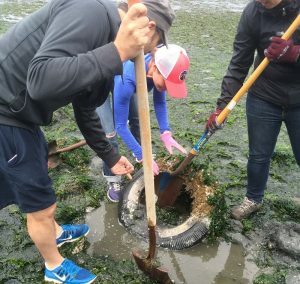 See a tire on the beach in Seattle? 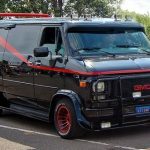 Let us know – we may be able to remove it. (If it’s an enormous tire, like a tractor tire, chances are we can’t remove it, but we can still take a look.) To get in touch, send an email to beachtireremoval@tirebuyer.com. 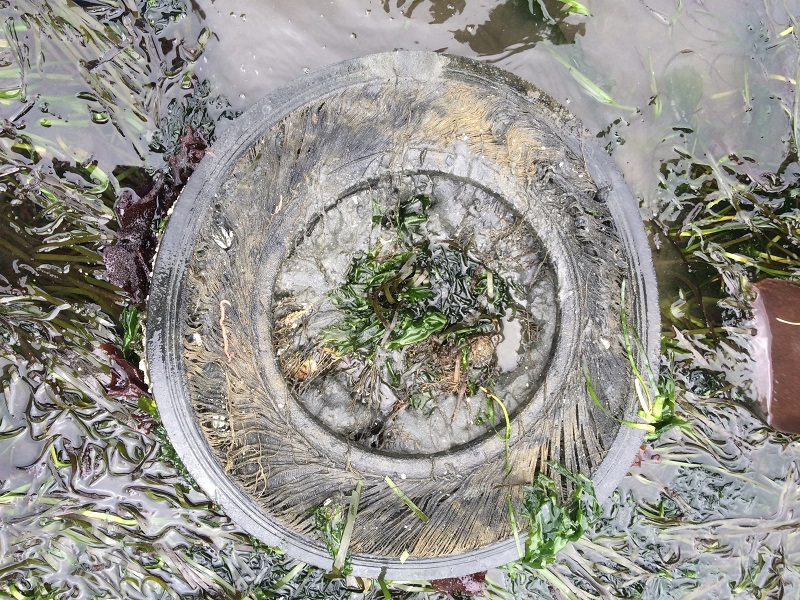 Covered in seaweed – this tire blends in!